Animal videos for kids are actually like pizzas that can bring us together. 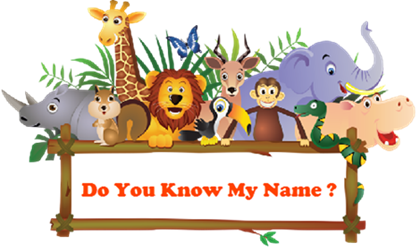 Kids, parents, grandpas, grandmas, etc are all wild about animals that it is an advisable and kid-friendly way to download animal videos for children to learn requirements, specific suitable climates, environmental conditions, etc to animals together with the whole family, and more importantly, teach your baby which animal is elephant, giraff, or turtle and its sound. Learning while playing is what we are favoring. 5KPlayer offers you the free and easiest way to download animal videos for babies, toddlers, kids at any age in HD 1080p 720p MP4 3GP etc from various kinds of kid video sites including YouTube, Dailymotion, Vevo, etc, and play these animals videos for children with bright colors, clear sounds and subtitles. Keep your babies focusing a little while and learn something. What animals are amphibians? Which characters do mammals have? Can all birds fly? I don't know if you have the right answers but I'm sure that your kids don't. So, here we gather a list of animal videos for children plus animal videos for kids download software for you to free download a variety of kid videos including animal videos, animated clips and kids learning videos. Make your crying baby laugh and learn something with these great animals & wildlife videos for kids. 3. How to Free Download Animal Videos for Kids? Easy and funny ChuChu TV Surprise Eggs Toys video will help your kids learn wild animals and their sounds as well. This video presents various colorful eggs which contain different animals. Your kids can travel with Mr. Harlo and open each egg one by one to see what animal is in it and how does it make a sound. With Bob the train, your kids will learn the easy A-Z letters at the first station following the animal sound song trip. While the nursery rhymes are playing, your kids can put on the dancing shoes and hit the club. Various experiences are waiting for your baby – Space Adventure, Numbers Counting, Colors Ride, Learn Shapes, and more. There is a farm containing kinds of animals that we usually see including duck, cow, dog, etc, and some other precious animals like parrot, sparrow, pigeon, etc. Follow the family in this animal video for kids to learn the names and sounds of animals. This video is short but interesting that expectedly your kids will ask you play it again. 5KPlayer, with built-in YouTube downloader and video music player, will allow you to free download animal videos for babies, toddlers, adults, etc MP4 3GP HD 1080p 720p etc and play them directly on computer or Apple TV with HD quality. Need kid songs list? This tool will also help you get without striking a blow. 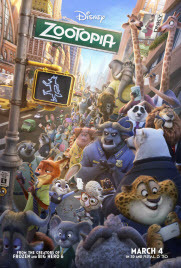 Zootopia is by and large the best film of Walt Disney Animation Studios in 2018. It is light comedy criminal film that euphemistically exposes various social issues of America. The Jungle Book 2016 movie is special for those who have the childhood memory of the cartoon film The Jungle Book 1967. It is also great for your kids to have a self-discovery journey. It's an adorable animal movie for kids, indeed. 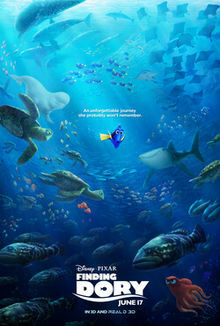 Finding Dory movie, the sequel to the 2003 film Finding Nemo, will tell you why Dory gets separated from here parents and how does her find here home finally. Fantastic Beasts and Where to Find Them film is a prequel to the Harry Potter movie series that explain the story of a magician and his grandiose universe of magical creatures. Aiming at children but funny enough to keep adults entertained, Shaun the Sheep film is great for the entire family, and perfect for the young and those young at heart. 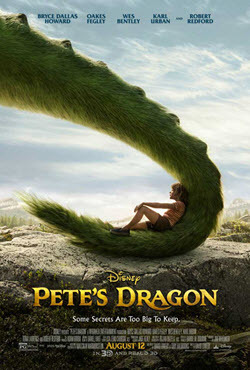 Pete's Dragon is a re-make of one of Disney Studios' most beloved tales and telling the adventure of an orphaned boy named Pete and his dragon friend Elliot. 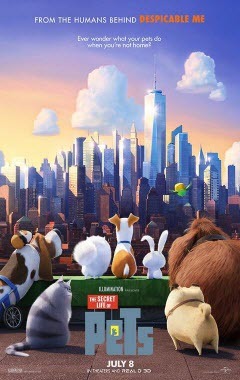 If you and your kids love pets, this movie is very suitable for you. It's a animal movie for kids and adult to help find your adorable and sly pets' little tricks and games behind your backs. Find the secrets of your pets. 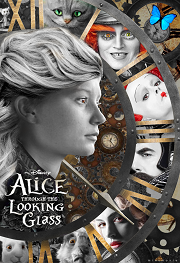 Alice Though the Looking Glass movie is the sequel to the 2010 film Alice in Wonderland. This time, Alice returns to the whimsical world of Wonderland and travels back in time to help the Mad Hatter. 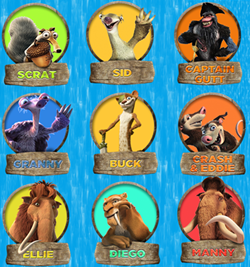 Ice Age movies are clever, funny, touching and like great road movies that are suitable for both adults and kids. Ice Age 5 includes some new roles and plots that make the classic go further. Alvin and the Chipmunks 4 movie is a great choice for family with kids. Three chipmunks named Alvin, Simon and Theodore will give you and your kids a special experience. How to Free Download Animal Videos Movies for Kids with 5KPlayer? Step 1: Free download animal videos for kids download software 5KPlayer, install and lanuch it on your Mac or PC. Step 2: Find one or more animal videos for kids on YouTube, Dailymotion, Vevo, etc you want to download, copy the video URL. Please make sure the URL is valid. 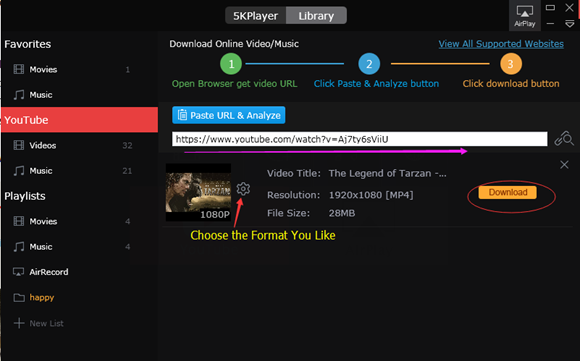 Step 3: Click the YouTube icon on the main UI of 5KPlayer, click "Paste URL & Analyze". Step 3: After the analyzing process is done, click Download button to download the animal videos for kids. Step 1. Find the video you want to load subtitles. You can play the animal videos for kids you just downloaded or click Video icon on main UI of 5KPlayer to load local videos. Step 2. When the video is playing, right-click the playing window to choose Subtitle and then Load Subtitle File. 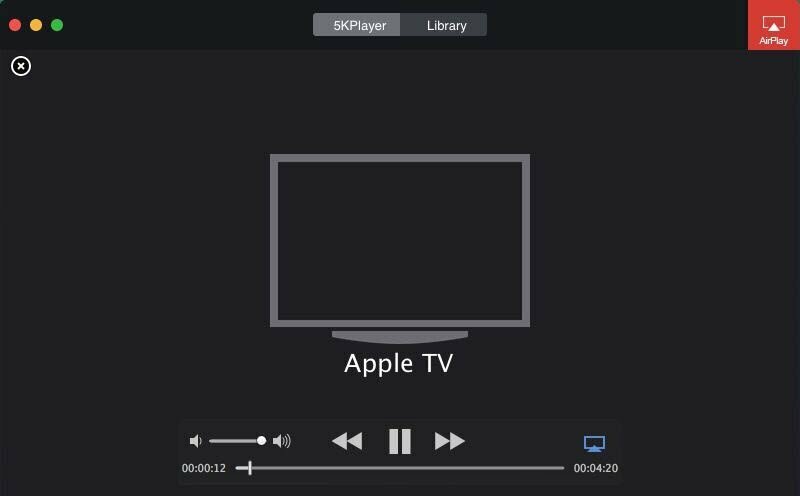 It is feasible to use 5KPlayer to stream media to Apple TV if you want to enjoy these animal videos for kids with your whole family. With HD image effect and without lags, 5KPlayer wirelessly send what's on your Mac/PC to Apple TV. Step 1. Connect your computer and Apple TV to the same WiFi network. Step 3. Add animal videos for kids in MP4, M4V or MOV to 5KPlayer and it will automatically stream the media to Apple TV.